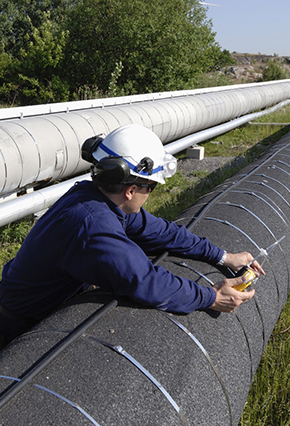 On June 10, the Pipeline and Hazardous Materials Safety Administration (PHMSA) announced over $1 million in One-Call grants to 27 states, the District of Columbia, and Puerto Rico to improve pipeline damage prevention efforts. PHMSA announces agenda for PSMS public workshop. PHMSA has announced its agenda for the July 2, 2014 public workshop on Pipeline Safety Management Systems (PSMS). The workshop’s purpose is to discuss an emerging PSMS national consensus standard and identify how concepts explored at PHMSA’s February 2014 PSMS workshop are addressed in that standard. Participants include representatives from PHMSA, the National Transportation Safety Board, pipeline operators, and state regulators. The workshop will be held in Alexandria, Virginia, and will be webcast. PHMSA/NAPSR announce agenda for public meeting on “Managing Pipeline Cracking Challenges.” PHMSA and the National Association of Pipeline Safety Representatives (NAPSR) have announced their agenda for the upcoming public meeting on “Managing Pipeline Cracking Challenges.” The meeting’s purpose is to gather and disseminate information on state-of-the-art crack detection techniques for hazardous liquid and natural gas pipelines. The meeting will be held in Chicago, Illinois, on August 5 and will be webcast. Agenda announced for R&D forum. PHMSA and NAPSR have announced their agenda for the upcoming Government/Industry R&D Forum. The Forum’s purpose is to identify key pipeline technical challenges facing the pipeline industry and government authorities, to disseminate information on current research efforts, and to identify new research that can help to address known challenges. Topics to be addressed include damage prevention; leak detection and fugitive methane emissions; anomaly detection and characterization; improving risk models; and addressing legacy materials challenges. The Forum will be held in Chicago, Illinois, on August 6-7. PHMSA Rulemakings. The table below reflects information on the status of PHMSA rulemakings as reported in the Department of Transportation’s (DOT) June Significant Rulemaking Report. Additional information from the Office of Management and Budget’s (OMB) Office of Information and Regulatory Affairs (OIRA) is here. New information in the table is reflected in bold. OIRA has received PHMSA’s notices of proposed rulemakings for excess flow valves and the safety of onshore hazardous liquid pipelines. Under Executive Order (EO) 12866, OIRA will review these rulemaking proposals to ensure consistency with applicable law, the President’s priorities, and the principles set forth in the EO. OIRA will also ensure the proposals do not conflict with another agency’s policies or actions. Under the EO, OIRA is to provide PHMSA the results of the review within 90 days, unless that period is extended for an additional 30 days. AB 1937 (Gordon): This bill would amend the California Public Utilities Code to require gas corporations to provide at least three working days’ notice before undertaking any non-emergency excavation or construction activity within 500 feet of a school or hospital. The bill passed the Assembly by unanimous vote on May 23, and was referred to the Senate for consideration. The Senate amended the bill on June 11 to include a 5-year recordkeeping requirement and provision requiring excavators or operators to comply with the state’s one-call notification requirements. SB 1389 (Hill): This bill would prohibit a gas corporation from using the “grandfather clause” in 49 C.F.R. Part 192 to determine the maximum allowable operating pressure (MAOP) for an intrastate gas transmission line. The federal pipeline safety regulations currently allow operators to determine the MAOP for a gas pipeline by using the highest actual operating pressure that a segment experienced during the 5-year period preceding July 1, 1970. SB 1389 would prohibit the use of that provision and require operators of intrastate gas transmission lines to determine MAOP solely on the basis of the California Public Utilities Commission’s (CPUC) rules or orders. The bill unanimously passed the Standing Committee on Energy, Utilities and Communications on May 5 and is pending before the Senate Committee on Appropriations. SB 1371 (Leno): This bill would require the CPUC to adopt rules and procedures governing natural gas leakage abatement for regulated intrastate transmission and distribution lines in order to reduce emissions of natural gas. The regulatory proceeding would commence by January 15, 2015, and the rules and procedures would be required to meet the following objectives: (a) provide for the maximum technologically feasible and cost-effective avoidance, reduction, and repair of leaks and leaking components within a reasonable time after discovery; (b) provide for the ranking or recorded leaks and leaking components by volume or energy content; (c) evaluate natural gas leakage abatement practices to determine effectiveness; and (d) establish and require the use of best practices for leak surveys, patrols, leak survey technology, leak prevention, and leak reduction. The Senate passed the bill in late May and referred it to the Assembly for consideration. The Assembly amended the bill on June 10 and 18, and it is pending before the Assembly Committee on Utilities and Commerce. Public Act 14-94: Governor Dannel Malloy signed new legislation amending the state’s damage prevention requirements effective October 1, 2015. Under the new law, the discharge of explosives and demolition activities are now subject to those requirements. The state’s public utilities are also required to organize and operate a central clearing house for receiving and giving notice to public utilities of these and other excavation-related activities under the direction of the Public Utilities Regulatory Authority (PURA). The law removes the mandatory two-day timeframe for utilities to mark the locations of underground facilities, leaving any time restrictions up to regulations to be issued by PURA, and requires the use of hand- or soft-digging techniques in the vicinity of any facility that contains combustible or hazardous fluids or gases. HB 868 (Ponti): Governor Bobby Jindal has signed new legislation reducing the civil penalties that can be imposed for violations of the Underground Utilities and Facilities Damage Prevention Law and allowing an excavator and operator to extend the 48-hour deadline for beginning excavation activity by mutual agreement. HCR 143 (Stokes): This concurrent resolution urges the Commissioner of Conservation and the Secretary of the Department of Natural Resources, in consultation with the Attorney General and Legislative Auditor, to perform a comprehensive assessment of the hazards posed by pipelines that are inadequately marked, covered, buried, or protected in coastal areas and to make recommendations for any statutory, regulatory, or policy changes necessary to address these concerns. H 4164: The bill would incorporate into Massachusetts law the federal limitations on the amount of administrative civil penalties for pipeline safety violations. The bill would also: (a) establish uniform natural gas leak classifications for all gas companies; (b) require written notification to a gas company of a significant project on a public way that will expose natural gas infrastructure; (c) require the gas company to ensure that any shut off valve in the project area has a gate box installed or a reasonable alternative that would ensure public safety and that any critical valve is operational and accessible; (d) prioritize pipeline repairs for gas leaks detected in a school zone; (e) require annual reporting of gas leaks and repairs; (f) authorize implementation of a targeted infrastructure replacement program; (g) require operators to give notice of “incidents” at the earliest practicable moment following discovery; and (h) require that consideration be given to creating new standards for performing winter surveillance and patrols of cast iron pipe. The Massachusetts legislature enacted the bill on June 16, and it is awaiting final action by the Governor. HB 1867 (Schatz): This bill proposes numerous changes to Missouri’s damage prevention statute, including altering the definitions of “excavation” and a “pipeline facility” and adjusting the requirements for marking underground facilities. It also sets the failure to notify by an excavator and the failure to mark facilities by an owner or operator as a rebuttable presumption of negligence. The bill was delivered to the Governor on May 30. HF 3172 (Carlson/Hausman/Cohen): Recently signed into law by Governor Mark Dayton, this legislation authorizes the state to collect $2,500,000 in fees annually for the next three years from rail and oil pipeline operators to pay for the costs of conducting training and emergency preparedness programs. HB 1376 (Hammon): The bill would establish a committee to study the safe delivery of oil and gas, including natural gas and propane, throughout the state of New Hampshire. The committee would be required to report its findings and any recommendations for proposed legislation by May 1, 2015. The bill would also make a technical correction regarding the submission of oil pipeline facility spill response plans. On June 4, the Conference Committee Report was adopted. The bill was enrolled on June 18 and will soon be delivered to the Governor. A 9336 / S 7010: These companion bills would require operators of gas distribution facilities to accelerate the repair or replacement of pipe segments that are leaking, are at “high risk of leaking,” or may no longer be fit for service due to inferior materials, poor construction methods, lack of maintenance, or age. The bills also would provide a cost recovery mechanism for the accelerated repair or replacement program. Both bills have been referred to the respective energy committees. HB 2533 (Watson): This bill designates the Oklahoma Corporation Commission as the agency responsible for enforcing the Oklahoma Underground Facilities Damage Prevention Act. It also sets forth the requirements for a Notice of Inquiry process to evaluate the state’s pipeline safety programs, including addressing any findings or recommendations contained in the final report of the Pipeline Safety Task Force convened by Gov. Mary Fallin. The bill has been passed by both houses of the Oklahoma State Legislature and was approved by the governor on May 9. H 7714 Sub A / S 2450 Sub A: Effective July 1, 2014, these bills require excavators to provide specific information regarding the location of a planned excavation, including the specific street address for nearby buildings and any other information to assist a utility in determining where the excavation is planned to occur. They also require that any contact with underground facilities be reported to the affected utility immediately, and that any potential violation of the damage prevention law must be reported to the Rhode Island Public Utilities Commission within 30 days. *Texas Railroad Commission Proposes Rule Changes. At a June 17 public meeting, the Texas Railroad Commission (TRRC) proposed to adopt by reference the latest versions of PHMSA’s 49 C.F.R. Part 191, 192, 193, 195, and 199 pipeline safety and drug and alcohol regulations, as well as the Department of Transportation’s 49 C.F.R. Part 40 drug and alcohol testing regulations. The adoption would incorporate changes made to PHMSA and DOT regulations since the prior TRRC adoption in October 2011. The TRRC has also proposed to clarify the requirements applicable to farm tap odorizers. Specifically, the TRRC seeks to clarify that farm tap odorizers are subject to odorization testing requirements, and further clarify that operators need not assign ID numbers to such odorizers nor must they prepare equipment reports for wick-type odorizers. The proposed amendments will be published in the July 4th Texas Register, and comments are due August 4th. More information is available here. Texas Railroad Commission Hosting Gathering Line Workshops. The Texas Railroad Commission (TRRC) is hosting a series of workshops to discuss the regulation of gas and hazardous liquid gathering lines. Last year, the Texas Legislature enacted a new law, HB 2982, which provides TRRC with the authority to establish safety standards for hazardous liquid gathering lines in rural areas and gas gathering lines in Class 1 locations. While the law includes a provision that limits the ability of the TRRC to exercise all of its new authority before September 1, 2015, the agency is allowed to collect information from pipeline operators before that date. The gathering line workshops are being held from May 21 to July 30, 2014, in San Antonio, Amarillo, Midland, Fort Worth, Rockport, and Cotulla, Texas. TRRC also announced that it will be hosting a Pipeline Safety Seminar with PHMSA staff in San Antonio from September 9 to 11, 2014. Act No. 132: On May 20, Governor Peter Shumlin signed legislation increasing the civil penalty limit for violations of the Gas Pipeline Safety Program from $100,000 to $200,000 per violation per day, not to exceed $2,000,000 for any related series of violations (consistent with federal caps). These amounts are identical to the federal limits imposed under the Pipeline Safety Act. Washington Proposes Civil Penalty Cap Increase. In May, the Washington Utilities and Transportation Commission (WUTC) proposed amending its gas pipeline safety rules for intrastate facilities to increase the maximum civil penalties for pipeline safety violations. The proposed amendment would increase the maximum per-violation penalty from $100,000 to $200,000 per violation, and the maximum penalty for a related series of violations from $1,000,000 to $2,000,000. The amendment would make the state penalty caps consistent with federal limitations in the Pipeline Safety Act. The WUTC will convene a hearing on the proposed amendment on July 2 in Olympia. More information is here.